The UBA Campus Ambassador Programme will provide an amazing opportunity for university students to be part of a dynamic and forward thinking youthful bank. 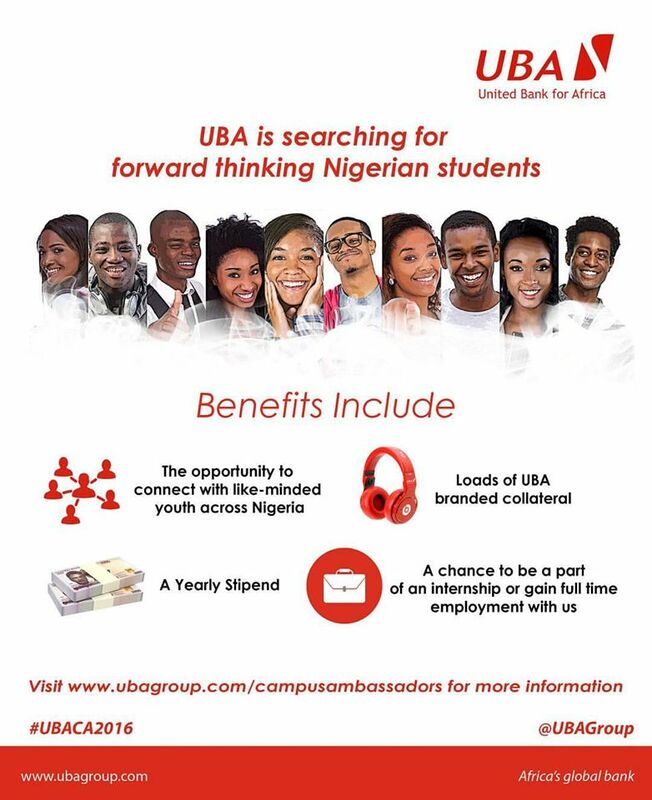 Our Campus Ambassadors (CA's) are passionate about the UBA brand and constantly seek to identify new and innovative ways to maximise our reach across universities in Africa and across other regions we have a presence. 3. Create innovative ways to reach new students, increase sales and manage the UBA brand on a collegiate level. Applications open from November 9th to December 9th 2016.